Go to the wreckers and pick up an old crank that has a unrepairable spun bearing damage, chop the flywheel end off and machine it to suit the taper lock. That way you can buy an off the shelf flywheel to suit the crank bolt pattern. VW type 1 engines have a big bolt that threads into the centre of the crankshaft so that idea won't work. Type2/4 motors have multiple bolts to mount the flywheel but the diameter is bigger so that won't work either. I'd be sticking with the steel unit, my kombi motor has just decided to chew the rivet holes out in the alloy cam gear and there isn't near as much torque involved there. Ahh but you missed the best part of the idea... The motor shaft doesn't care what crank end you modify to fit it. You would get something that is easy to get a hold of that is suited to the alloy flywheel you choose. Or after having thought about this a bit, maybe just buy the alloy flywheel first and just fabricate the crank end from scratch since it is going to require machining anyway for the transtorque / taperlock. Granted you will need to drill and tap the flywheel bolt holes, but it may be easier than mucking around with a bit of old crank. The only part that needs to remain semi original is the clutch centre / spline that fits the gearbox input shaft, you can do this by retaining the original clutch plate. If the car in question is prone to clutch slip this would be an ideal time to upgrade to a clutch plate with a greater friction area and or heavier pressure plate. The pressure plate and flywheel can both be changed to suit. If the throw out bearing is a bit weird and unconventional you may need to retain the original pressure plate, but otherwise you can change it for something a little heavier or lighter. A flywheel can often be redrilled to take different pressure plate bolt spacing. Really the sky is the limit with the different combinations that can be put together. If you start from the gearbox and work backwards towards the motor everything should fall in place. 1) Firstly the distance from the throw out bearing to the fingers on the pressure plate. Changing the throw out bearing or pressure plate may alter this distance, but provided it doesn’t alter the original rested position of the clutch fork too dramatically it shouldn’t cause you any clutch engagement issues. Remember we are no longer constrained by the original position of the flywheel / pressure plate so if the replacement throw out bearing (/arm) or pressure plate is a bit shorter that isn’t a major issue because the pressure plate can be moved towards the bearing to maintain the correct clutch fork angle and gap. Only thing to be wary of here is moving the pressure plate back towards the gearbox may foul the bellhousing, but obviously that is something you consider when choosing your parts. 2) Next the clutch plate... obviously need to be the right inner and outer diameters to work with your pressure plate of choice. (small gotcha here... if working with different components make sure the thickness of the clutch plate works with the pressure plate), but if you choose a pressure plate and clutch plate off the same model car this is obviously going to help things. 3) Fitting the flywheel up to the pressure plate shouldn’t be a major issue if careful consideration is given to the pressure plate and clutch plate. 4) Your adaptor plate thickness is now going to come into play as it spaces the motor away from the gearbox. 5) Motor shaft / flywheel adaptor is made to suit all the other items. Edit: Forgot the gearbox input shaft spigot bearing... this may cause you issues if the adaptor plate is too thick and spaces the motor output shaft away from the gearbox input shaft. Edit2: Using a clutch with an EV presents many advantages over its ICE counter part, which have yet to be fully utilised. 1. You don't require reciprocating mass to keep the motor turning over smoothly like an ICE, so less energy has to be given up to a system that is not optimal. 2. Taking off with a EV doesn't require you slip the clutch to move away. This increases the life expectancy of all components concerned. 3. Not having to slip the clutch gives you greater clutch options, for example stop start traffic in an ICE powered vehicle with a button clutch is borderline painful (been there done that) but the ability to leave the clutch engaged and just take off allows a better gripping clutch plate. 4. Less weight.. a button clutch is often lighter than a full fibre type clutch plate. Last edited by EV2Go on Wed, 13 Apr 2011, 12:31, edited 1 time in total. Finally hooked the Kostov up for a quick turnover test. Makes happy noises! Thanks for the mulling time EV2Go... comprehensive and slightly confusing. I'll stick to a fairly stock arrangement initially I think. Then if the clutch/drive doesn't cope I'll start thinking alternative arrangements. I'm looking into taperlocks with bolt on hubs at the moment. Looks promising. Cheers, Jem. Sometimes it is a whole lot easier to show some one, then it is to put it into words... If you can predominantly use standard parts the easier the conversion would be. seligtype3 wrote: Finally hooked the Kostov up for a quick turnover test. Makes happy noises! You need to be seriously careful when powering up a DC motor, as it has no means to control the motor speed. If you hooked that up to too much voltage you could have blown it to pieces (a leason learned from some one elses costly mistake). Have ordered a taper lock and matching bolt on hub. Went for the 1610 bush which without a key will slip at about 160Nm so I'll key it to the shaft which pushes the slip out to the bush/hub mating point, approx 280Nm slip. Plenty methinks. Once I have them I'll get onto machining the flywheel to match. Meanwhile the batteries are due tomorrow morning which is cause for much excitement! Better get a hurry on with the paint job. I am leaning towards the 1610 myself. Where did you order your taperlock and bolt on hub from? and who makes it? EV2Go wrote: I am leaning towards the 1610 myself. Where did you order your taperlock and bolt on hub from? and who makes it? It's made by Challenge, I stuffed around trying to get various power transmission places to talk to me but in the end I just dropped around the corner to my local bearing shop and they had the bush there, just needed to order the hub. Easy. I came across that website several times during my searching. I was looking to use a genuine Fenner taper lock but wondered if it was really worth the hassle. Does this Challenge also make the bolt on hub? EV2Go wrote: Does this Challenge also make the bolt on hub? Yep, there's a link to the hubs pdf on the same page. Sorry I was away with the pixies somewhere... I think I looked st so many website trying to find dimensions and other information that I got confused with where I saw what. Gettting back to topic... your current approach seems as good as any. 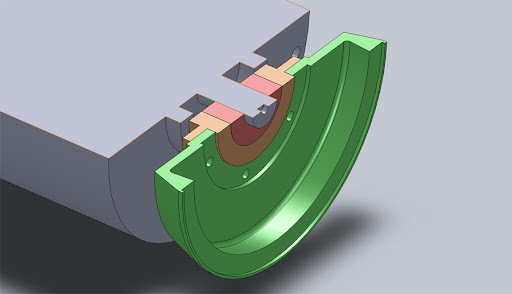 I think customising the motor adaptor would be better than customising the flywheel simply because if you need to replace the flyweel for any reason, if you use standard dimensions you can always just swap it out. Are the threads in the bolt on hub up to scratch? i.e. are they as big as the holes in the flywheel? Just thinking the about the next step if they need to be enlarged to suit the flywheel will there still be enough material left in the hub? Edit: Did you speak with Geoff (gttool) about your requirements, he has helped a number of people on the forum with adhoc bits and pieces and from what I have heard and seen does good work. Last edited by EV2Go on Wed, 20 Apr 2011, 03:03, edited 1 time in total. Happy days. Five cases of lithium just arrived. 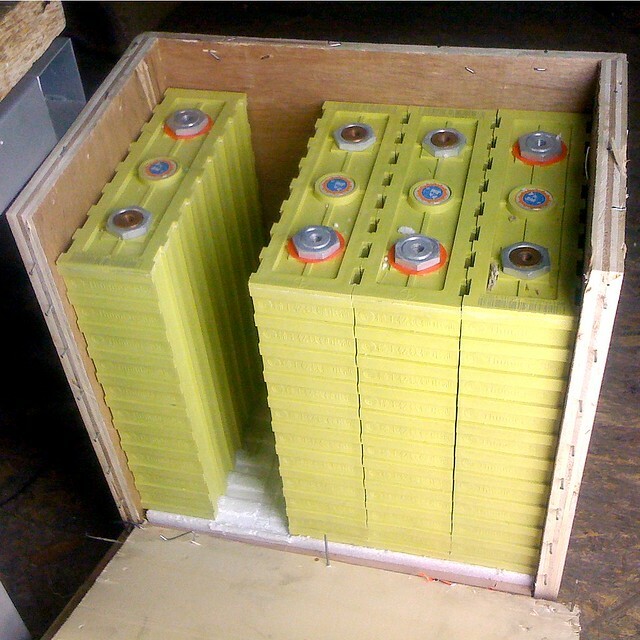 45 160Ah cells fresh from EV Works. They're consistently reading 3.30V which is good I suppose and there's a note saying I should charge them to 4.0V before use. What do people recommend here? I figure I'll wait until they're all strapped into the finished vehicle and charge them from there as I only have the Elcon and that's setup to do the whole pack. I personally don't recommend doing that for several reasons. First is unless you plan to to have the car finished by next week the batteries will further discharge with just sitting there. If they sit long enough they could reach dangerous levels effecting the longevity of the pack. Best laid plans of men and mice... Read a couple of times that happening to people who are not silly but just left the pack sitting too long. 99% of the time DIY projects take longer than expected. Secondly in the excitment of having everything plugged in you may be tempted to test it out and just take it for a small drive around the block... with sitting even if the batteries aren't at critical levels the small drive could push them into that threshold. I would recommend trickle charging them all up to 3.65v (seems to be a common voltage for lithium) and keeping an eye on the discharge rates. Edit: I say this not out of personal experience but out of wisdom learned from other peoples mistakes. Last edited by EV2Go on Wed, 20 Apr 2011, 06:13, edited 1 time in total. Have you finished your gearbox adaptor plate yet? I saw the MDF mockup a few pages back, would be nice to have that bolted to the motor before you finalise the flywheel coupler. EV2Go wrote: Have you finished your gearbox adaptor plate yet? I saw the MDF mockup a few pages back, would be nice to have that bolted to the motor before you finalise the flywheel coupler. Thanks for the battery tip. I figured with the adapter assembly that I'd confirm the bush hub combo and then engineer around it to get the spacing right. Makes more sense to me that way. Battery-wise... this might be a stupid question, but how do you charge single cells? I took a measuring stick to one of the 160AH cells. I knew they'd been updated recently so there weren't any real surprises but I thought I'd share my findings for those who might want to know the dimensions of the grooves and other little details that can help in planning. seligtype3 wrote: Battery-wise... this might be a stupid question, but how do you charge single cells? But if I was going to design it... I would want a digital read out for the current votage, one for the desired voltage and another for the Amps (or a single one that cycles through all three), some kind of means to vary the charge rate and voltage, or a programable PIC curves that tapers off as it is just about charged. Some preset voltage options so you can choose the charged voltage i.e. 3.2v, 3.4v, 3.6v, 3.8v, 4.0v (up / down buttons???). Throw in a very noisey alarm that goes off once charged so you can hear it in front of the TV, with a mute option and reset. Most of all I would want it to be very reasonably priced so all EV drivers with Ltihiums batteries could have their own on hand. Edit: I reckon I could probably write the code for that in VB easy enough. I have just started leaning C++ so I could probably do the same in C++ in the not too distant future. Last edited by EV2Go on Wed, 27 Apr 2011, 14:05, edited 1 time in total. Super, I'd order one now. Are you saying they don't exist? Could one not use a variable lab power supply or similar and monitor it manually? I'd just use a lab power supply. Warning: for 160Ah cells it's going to be s..l..o..w... most lab supplies can only put out 2 or 3A. Well it would be interesting to see if such an animal would be feasable. There is definately a need, even if it is only used once in a blue moon, it would be great to have a device that met the specific need rather than a cobbled together fix. Think about it... it could take several hours to top up a single cell on low charge, but you don't want to spend your entire night getting up and down to check it. Fix create a low cost charger with a bit of intelegence than can tell you when it is done rather than you having to check. So you can go about your business and when it is done it sounds a loud alarm to tell you it istime for the next cell. I have already started on the software to see how hard it would be to code up. Obviously it couldn't be put straight into a controller but it would give the psuedo code so it could be converted to controller software very quickly. 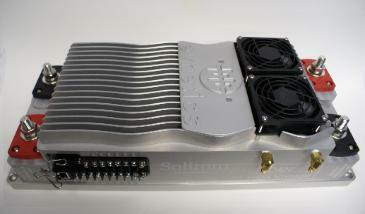 I have found that the TS cells hold charge for long periods with no issues as long as the BMS modules are not installed. You should be fine to leave them until the pack is built, then do a balancing charge. Electrocycle wrote: I have found that the TS cells hold charge for long periods with no issues as long as the BMS modules are not installed. Good to hear. I'll keep and eye on them but the aim is to be driving by August so hopefully I won't have to think about single cell charging.